You will find sophisticated, funny, maybe a little scary at times, and action-packed stories here. They may be targeted at younger audiences, but adults will enjoy them, too! 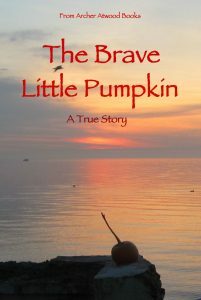 “The Brave Little Pumpkin” will entertain both child and adult. Our little hero experiences some very un-pumpkin like surprises, including a winter storm!